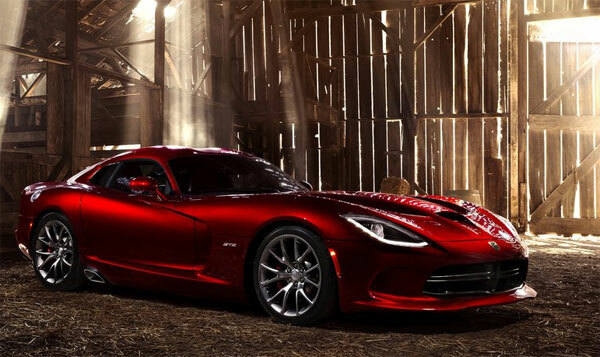 2013 Dodge SRT Viper is the upcoming sports car that will let you have an ultimate racing car experience. The new car will be manufactured at the Conner Avenue Assembly Plant in Detroit. The exterior is expected to be spectacular and the interior will be comfortable. The V10 engine is made powerful and will be capable of giving outstanding performance. 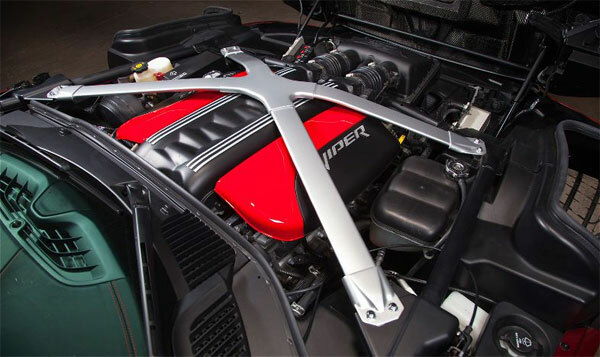 Let’s have a look at the Viper’s most exciting features. The new vehicle is expected to exhibit an exotic exterior. The aerodynamic chassis with high-tech carbon fiber and aluminum skin is remarkable. The firm structure provides 50 percent more rigidity. The LED tail lamps with 50 LEDs provide a unified “crystallized” illumination effect. The five-spoke “Rattler” wheel design gives the vehicle an outstanding look. New carbon-fiber hood, roof, decklid and aluminum door panels are designed in a way that results in a considerable weight reduction. The two seater vehicle is a masterpiece of craftsmanship. New premium materials are used to make the interior magnificent. The seats are leather skinned and standard accent colors are applied to the seats, doors, center console and stitching. Both driver and passenger can relax in comfortable seats. It is also more spacious with improved legroom and head room. The triple-paint-finished Gun Metal is used on cluster bezel, HVAC outlets and window switch bezels. The 8.4-liter V-10 engine is robust and delivers an output power of 640 hp. The Tremec TR6060 six-speed manual transmission gives the fastest acceleration. The GTS also features a driver selectable two-mode suspension system along with Bilstein DampTronic Select shock absorbers that can be adjusted with both street and track settings. The high-strength pistons, sodium-filled exhaust valves and new catalysts are introduced to reduce back pressure on the car. Also, top sped can be achieved at the 6th gear. Safety becomes more important while engineering a racing car. The new Viper features the following standard safety features. 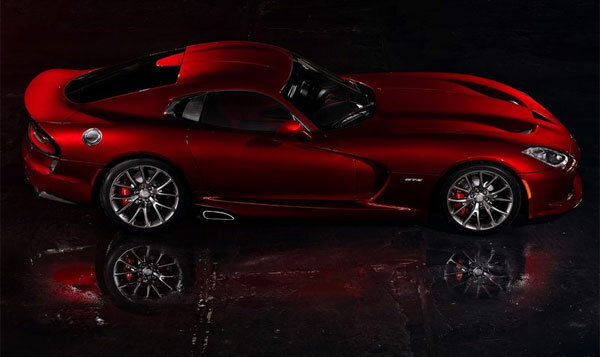 So, look out for the new supercar 2013 Dodge SRT Viper and race with style.